Treat your scalp to ‘Procerin XT Foam’ and you will be providing a healthy list of natural ingredients which all have a long history of safe and effective use. 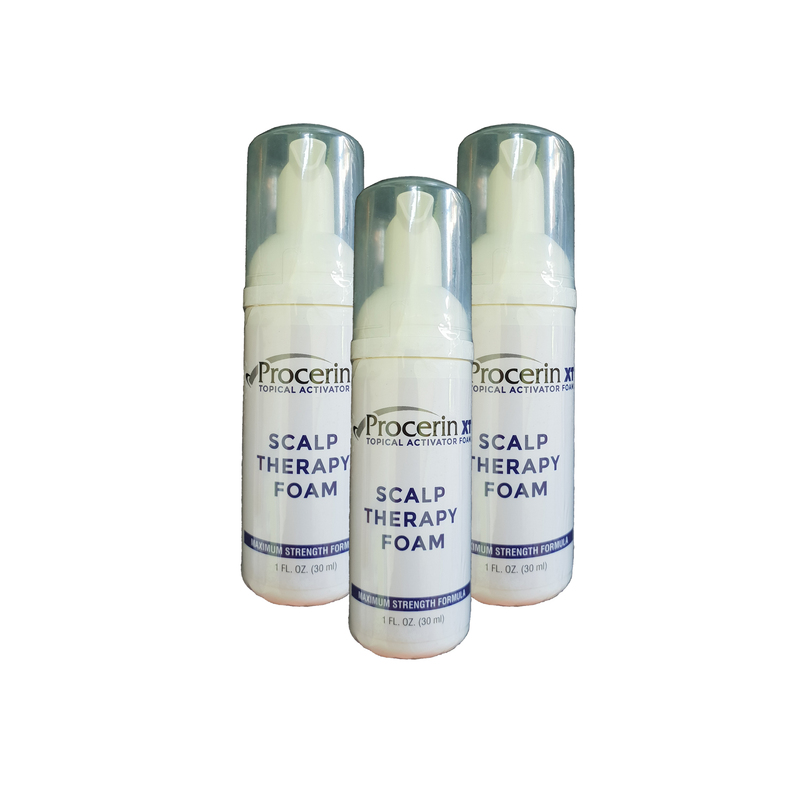 Procerin’s special formulation gives the body the building blocks needed for a healthy scalp which is critical for retaining existing hair and promoting new growth. 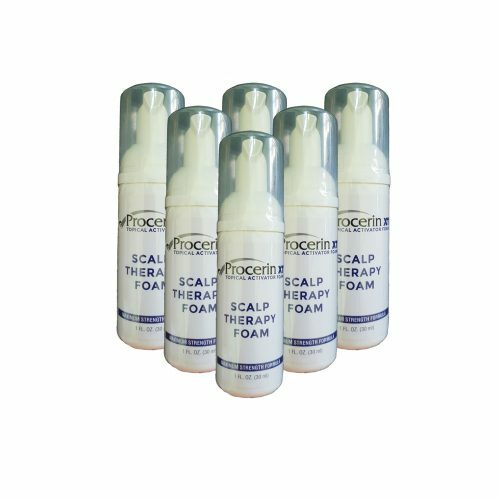 Procerin XT Foam is a topically applied product which tackles the problem directly when applied to the scalp and hair follicles. The XT Foam works well on it’s own and even better when coupled with the Procerin tablets!